Samsung Galaxy S4 vs Samsung Galaxy S3 - Is it a smartphone with tiny improvement from previous galaxy mode? Samsung on 14th March in New York revealed its latest flagship smartphone, the Galaxy S4, with features like photos with a bigger 5-inch screen compared to previous Galaxy generation - Galaxy S3, sound from a 13MP rear-facing camera, smart gesture control and more. What differences between Galaxy S4 and Galaxy S3? Can Galaxy S4 beat iPhone 5? 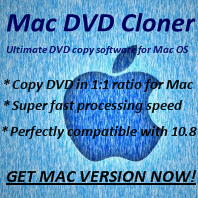 Tips: if you are looking for a program for CLONING or RIPPING encrypted DVD movies, try Any DVD Cloner Platinum - the best and all-in-around DVD Cloner and DVD Ripper is developed for you! Media and lost of reviews said that Galaxy S4 looks like Galaxy S3 both in the phone design and features, the Galaxy S4 does not bring amazing feeling to us. For instance, S4 keeps the design style of the S range. That means using a plastic removable battery cover. 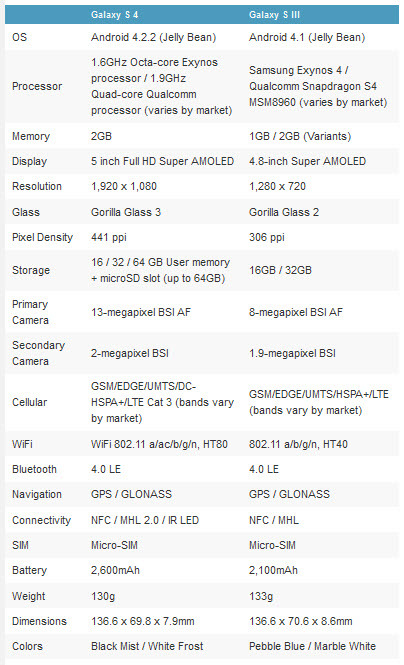 Read below comparison chart to know differences between the latest two Galaxy smartphones. 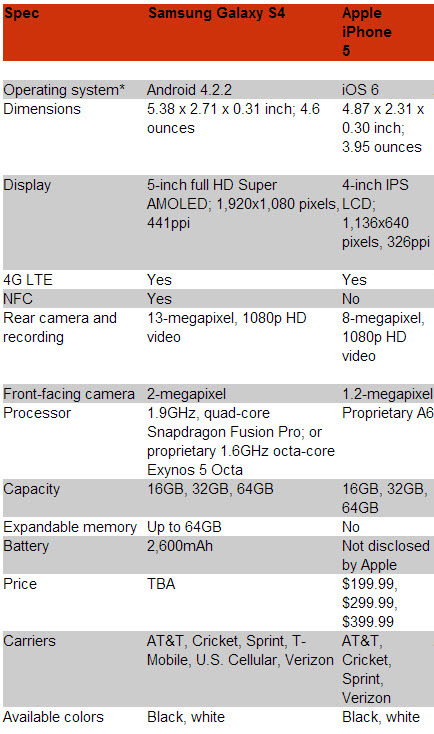 Samsung Galaxy S4 vs Apple iPhone 5 - the best two smartphones' battle really starts. Both smartphones are crazy-thin and will beautiful outlook. With different cover material, Samsung can release various colors cover later while iPhone only has black and white and the material - aluminium is pretty easy to be scratched. It's a Super AMOLED variant – it uses a new PenTile-based array of subpixels. It also reportedly uses less battery. RAM is double that of the iPhone 5 in the Galaxy S4 too, 2GB against 1GB, and the GPU is better in the Samsung phone too. As phones that are so different in many ways, their core CPU/GPU components are remarkably similar, genetically. Still, iOS is still reasonably pretty, superbly easy to use and pretty practical as long as you have less than 100 apps installed. Samsung has "enriched" the Samsung Galaxy S4 with the custom TouchWiz UI. This is the umbrella name for all variants of Samsung’s Android interface, but it’s only top dogs like the Galaxy S4 that get absolutely all of the swish new features. The most headline-grabbing of them relate to eye-detection tech. For example, videos will stop when you look away from the screen and, as with the Samsung Galaxy S3, you can set the backlight to stay on while you’re looking at the screen. You’ll get no such frivolous extras with an iPhone 5, although some of you may class such things as gimmicky trash anyway.